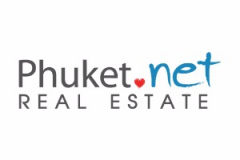 Phuket.Net Real Estate deals with all aspects of the real estate market on the beautiful Phuket island. Whether you would like to rent a beautiful holiday villa for a fortnight, purchase a plot of land on which you can build your new dream home, or invest in an off-plan condo or newly completed development in Phuket, we will be able to help. Our website also features wide range of re sale properties, as well as a wide selection of houses and apartments available for anyone looking for a long term lease on the island. Every member of our team has extensive experience in the property industry in Thailand and is committed to helping our clients find the ideal property with the minimum of hassle and stress. 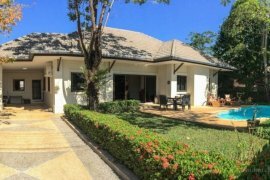 Charming 3-Bed Pool Villa in Paklok. 432 m2 / 1 Ngan 8 Sq.W. Large Studio Apartment in Patong. Modern 2-Bed Pool Villas in Rawai. Tropical Villas Pool Villas in Nai Harn. 262 m2 / 65.5 Sq.W. Spacious 1-Bed Sea View Apartment. Tropical Style Pool Villa in Layan. Modern Pool Villas near Natai Beach. Stylish Asian Pool Villas near Laguna. Stylish Resort-style Condos near Kamala Beach. Stylish 3-Bed Tropical Pool Villa in Kamala. Gorgeous 3-Bed Sea View Penthouse in Kata. Elegant Balinese Pool Villas near Layan Beach. Stylish 3-Bed Pool Villa near Laguna. Modern 2-Bed Pool Villa near Golf Course. Spacious 2-Bed Apartment near Layan Beach. Chic Resort-style Condo near Karon Beach. Gorgeous Sea View Freehold Condo in Kamala. 1 Rai Land Plot With Sea View in Kamala. Beautiful Sea View Pool Villa in Kata Noi. Affordable Ground Floor Studio near Surin Beach.